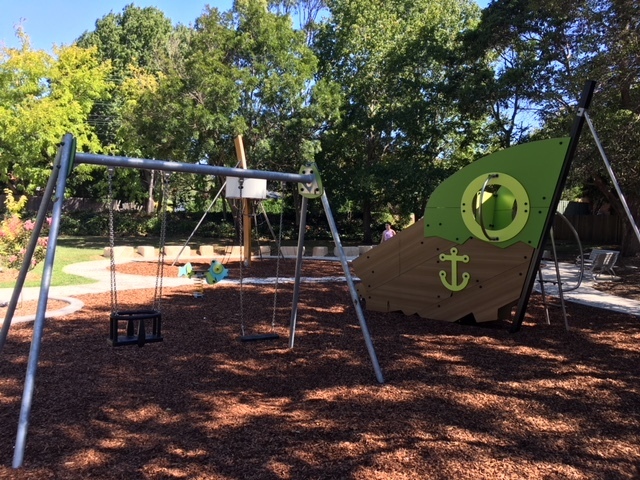 Recently having undergone a complete make-over, Lynelle Park in Eastwood is now an attractive and inviting pirate themed playground for young adventure seekers. 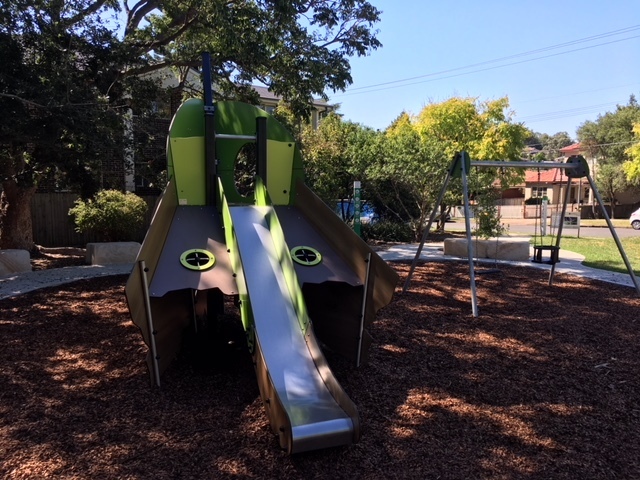 With a range of kid-friendly play equipment, the park has been designed to provide a safe, imaginative and enjoyable play space for local families and visitors. 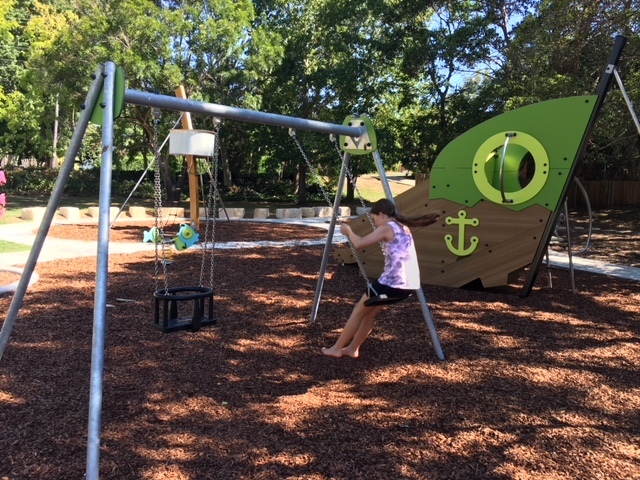 The space has been well utilised and offers children a choice of play equipment including a ship mast with lookout, swings (including one with a toddler seat), a colourful ship-shaped combination play unit, fish shaped springer and a two-seated spinner. 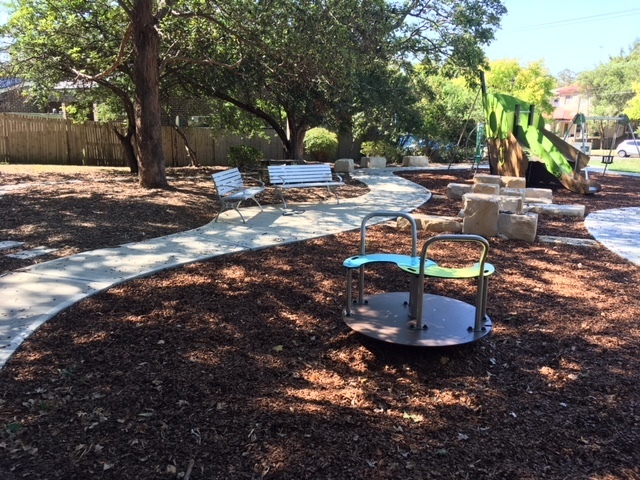 Sandstone blocks outline informal play areas and provide a place to sit, watch the kids and enjoy the surroundings. 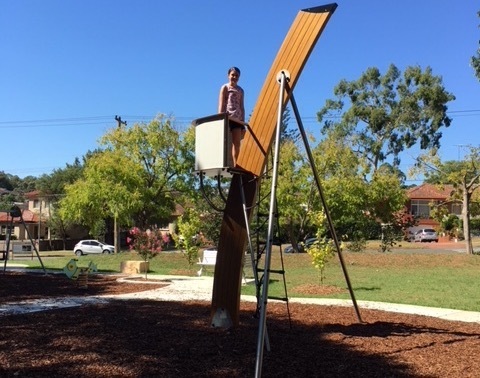 Other seating options include a couple of metal bench seats and a picnic table sensibly placed under the trees ensuring shaded lunches. 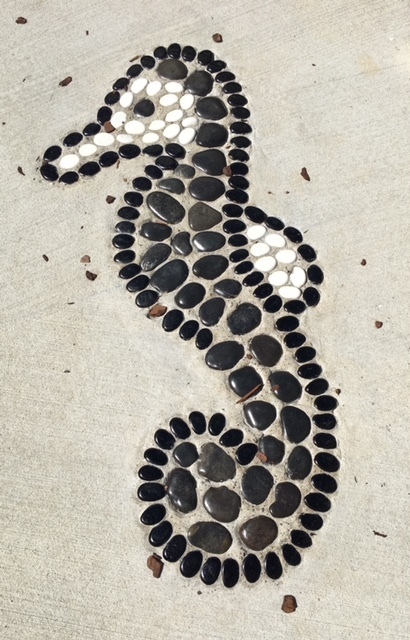 The new loop path connects plays areas and are dotted with inlaid pebble water characters which are super cute. And for young ones with ride-ons, the path doubles as a track for venturing around the perimeter. 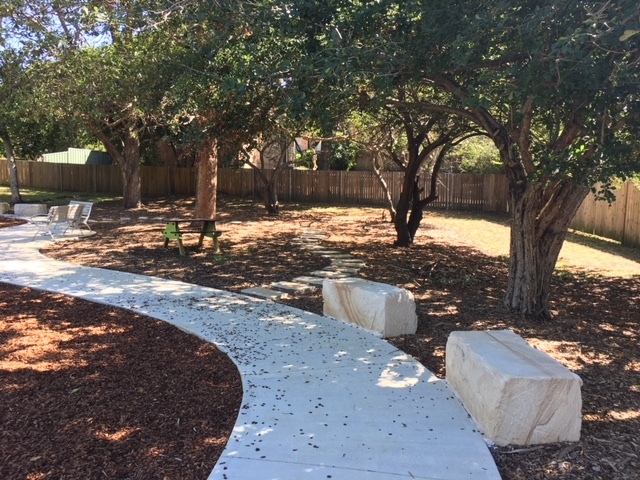 The space has been well planned and designed and the existing mature trees, which are many, offer lots of shade and a sense of calm amongst the bustle of suburbia. 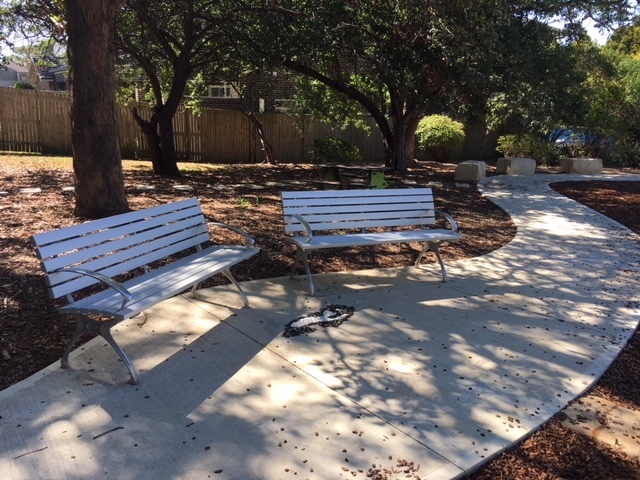 Final planting of the flower beds is due to take place between March and May due to the recent extreme heat and once completed will add to this parks newly aquired charm. Parking is plenty in Abuklea Road, and with its clever layout, fun theme and aesthetically pleasing botanic surrounds this park has great street appeal. For locals like myself, that's a huge thumbs up.